Derby season is nearly on us and, as every year, readers will be subjected to odes and plaudits for that Kentucky stalwart, the mint julep. Now, my father is a Kentucky Colonel and I myself enjoy a bracing mint julep on occasion; the julep was for years and years the standard drink in our house. But I do not engage in the kinds of blowhard battles over their proper preparation that passed as performance art in years past. Your julep is yours and mine is mine. Perhaps no greater bullshitter than Irvin S. Cobb waxed (and waxed and waxed) eloquent over the julep, however, any chance he was given. 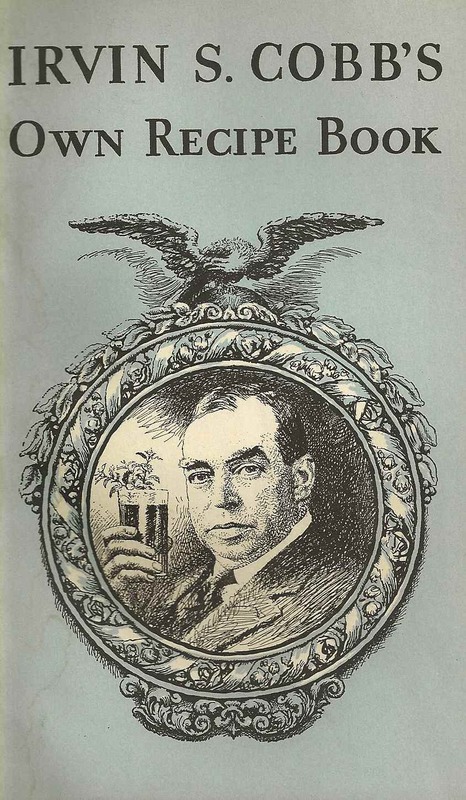 Cobb (1876–1944) was a journalist and humorist — and a renowned drinker. His 1936 pamphlet for Frankfort Distilleries details his supposed encounter with “a criminal masquerading as a barkeeper” that may ring a bell with anyone who’s brushed against particularly florid examples of the craft of modern cocktologists. And once, in Farther Maine, a criminal masquerading as a barkeeper at a summer hotel, reared for me a strange structure that had nearly everything in it except the proper constituents of a julep. It had in it sliced pineapple, orange peel, lemon juice, pickled peaches, sundry other fruits and various berries, both fresh and preserved and the whipped-up white of an egg, and for a crowning atrocity a flirt of allspice across that expanse of pallid meringue. When I could in some degree restrain my weeping, I told him things. "Brother," I told him, between sobs, "brother, all this needs is a crust on it and a knife to eat it with, and it would be a typical example of the supreme effect in pastry of your native New England housewife's breakfast table. But, brother," I said, "I didn't come in here for a pie, I mentioned a julep; and you, my poor erring brother, you have done this to me! Go," I said, "go and sin no more or, at least, sin as little as possible." Irvin S. Cobb (1936) Irvin S. Cobb’s Own Recipe Book. Frankfort Distilleries, Incorporated, Louisville. 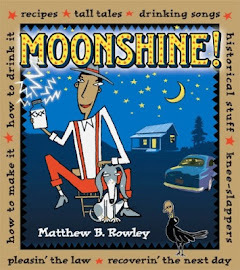 The Barkeeper's Favorite Weapon, in which New Orleans maestro Chris McMillian wields a massive hammer and recites poetry while mixing a perfectly acceptable, non-pastry, mint julep. Mint Abomination. Ok, maybe I do take offense at some attempts at mint juleps. So does Portland bar man Jeffrey Morgenthaler. Here's a short bit (with video) of how not to do it. Whether or not Woodford Reserve is your go-to whiskey, that's no way to treat a bourbon.